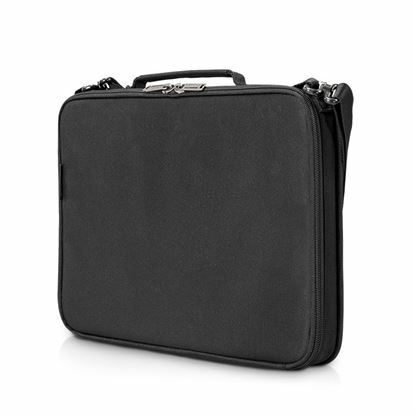 EVERKI Advance 16" Briefcase, Material: Nylon 1000D, Laptop EVERKI Advance 16" Briefcase, Material: Nylon 1000D, Laptop Compartment: 40 x 32 x 4cm, Exterior Dimensions: 42 x 32 x 8.5cm. Blue Colour. 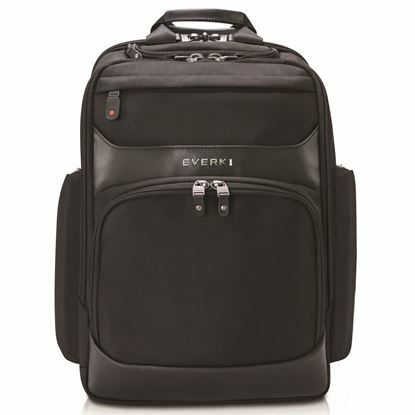 EVERKI Onyx Laptop Backpack. Up to 15.6". Travel friendly. 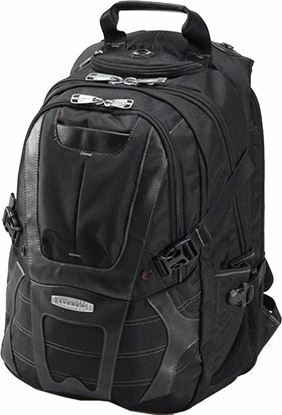 Hard-shell EVERKI Onyx Laptop Backpack. Up to 15.6". Travel friendly. Hard-shell quick-access sungless case. RFID protection. EVERKI Studio Laptop Backpack 14" EVERKI Studio Laptop Backpack 14"
EVERKI Atlas Wheeled Laptop 13"~17.3" Backpack. EVERKI Atlas Wheeled Laptop 13"~17.3" Backpack. EVERKI Versa Premium Backpack 15" Checkpoint friendly design. 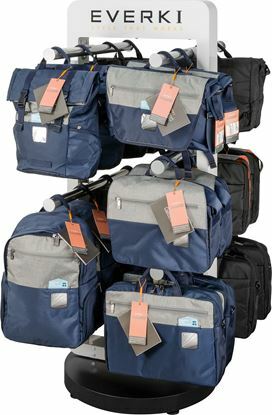 Shell- EVERKI Versa Premium Backpack 15" Checkpoint friendly design. Shell- protected sunglass case, Corner- guard protection system. EVERKI Suite Premium Compact Checkpoint Friendly Laptop Backpack EVERKI Suite Premium Compact Checkpoint Friendly Laptop Backpack up to 14"
EVERKI Concept 2 Laptop Backpack. Up to 17.3". Checkpoint friendly EVERKI Concept 2 Laptop Backpack. Up to 17.3". Checkpoint friendly design, Shell-protected sunglass case, Corner-guard protection system. EVERKI EVA Hard Shell 11.7", High-Density Memory Foam. EVERKI EVA Hard Shell 11.7", High-Density Memory Foam. EVERKI EVA Hard Shell 13.3", Laptop Case for Chromebooks/ EVERKI EVA Hard Shell 13.3", Laptop Case for Chromebooks/ Laptops. High Density Memory Foam & Hook & Loop Strap. 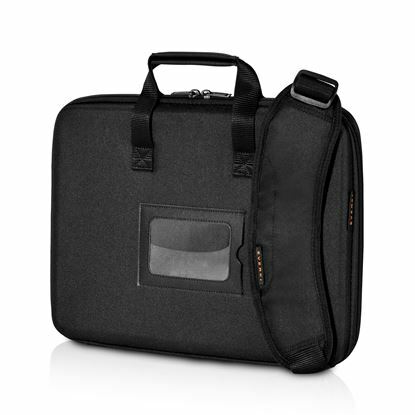 EVERKI EVA Hard Shell 12.5"~14.1", Laptop case, High Density Memory EVERKI EVA Hard Shell 12.5"~14.1", Laptop case, High Density Memory Foam & Hook & Loop Strap. Leather handles. 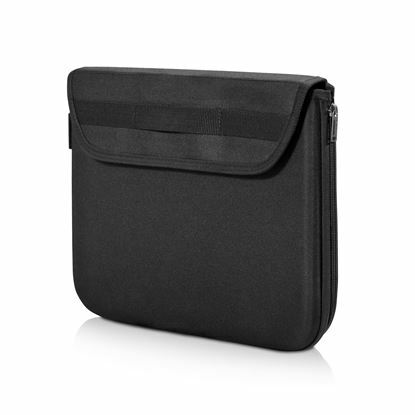 EVERKI EVA Hard Shell with iPad Pocket, 12.1". Thick Internal EVERKI EVA Hard Shell with iPad Pocket, 12.1". Thick Internal Padding Guard for Laptop Protection. EVERKI Venue XL RFID Mini Messenger fits iPad Pro 12", Surface Pro, EVERKI Venue XL RFID Mini Messenger fits iPad Pro 12", Surface Pro, MacBook.